Bohemia is derived from the Latin name for the land, Boiohaemum. The Latin word was itself derived from the name of the Celtic Boii tribe who inhabited the area during the Fourth Century BC Slavs first entered the region in the Fifth and Sixth Centuries AD by settling in areas of what is now Slovakia and Moravia. Christianity first arrived in the latter half of the Ninth Century (“History”). It is from Bohemia that the legend of “Good King Winceslas” (Prince Václav, death 935 AD), the patron saint of Bohemia, comes to us (Thomson 18). The Czech language is a Slavic tongue and has a rich tradition among the Czech, as the right to use their own language had not always been guaranteed by their rulers, was sometimes repressed, and therefore its existence that much more valued. The Czech today continue to study and preserve their language as evident by numerous university programs and the rich history of film and literature be produced by Czech artists and authors in the Twentieth Century. Bohemian princes that sought independence were constrained by the German Ostmark (Eastern March), which was defined as the area between the Enns to Litava using the Danube as a natural boundary. Kamil Krofta, the Czech historian, politician and diplomat, observed that the Czech formulated a pragmatic response to promote their political existence. Krofta wrote, “Their power they extended not by fighting but by valuable services rendered to the German sovereigns. Beginning in the Twelfth Century, Bohemian Princes joined the ranks of the Electors of the German Emperor and thereafter was able to have some effect on the politics of the Holy Roman Empire (Moravec 20). In 1085, in return for supporting the Holy Roman Emperor, Henry IV, Vratislav becomes the First Czech king. In 1158 Emperor Fredrick Barbarossa gave the royal title to be held by the Czech rulers and their descendants. 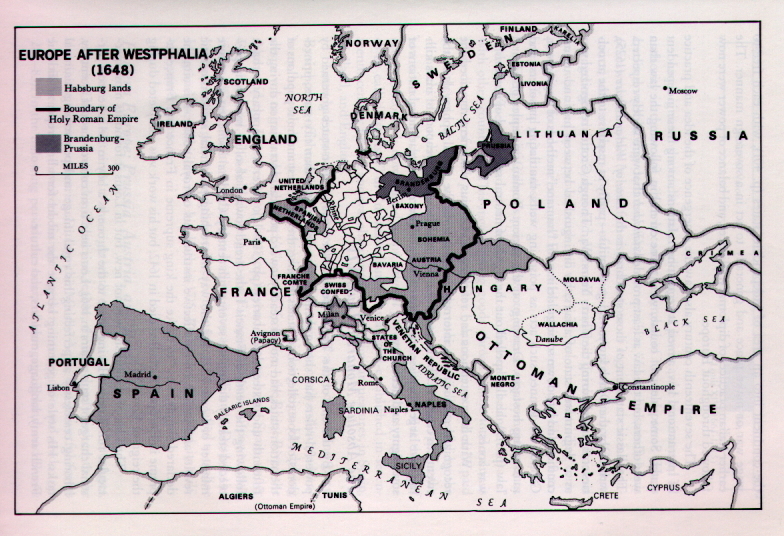 Barbarossa though had the overall agenda of trying to assimilate Czech lands into the Imperial feudal holdings and attempted to break Bohemia up as part of this plan. In 1182 he put Moravia under his feudal vassalage as a margravate, an agreement made under duress as Barbarossa had executioners axes prominently displayed during the “negotiations” with the Czech legates (Thomson 22). In 1186 the Margrave of Moravia declared their vassalage to the Duke of Bohemia thus nullifying Barbarossa’s attempt to break up the land. Barbarossa made a second attempt in 1187 to break up Bohemia by promoting the Bishop of Prague to a prince of the Empire. This period lasted for ten years until the next bishop came to office and declared his vassalage to the Duke of Bohemia, which frustrated yet another plan to break up the Czech homeland. In 1212, Premysl Otakar I (crowned king in 1204) received the Golden Bull of Sicily from Pope Innocent III. This assured the integrity of the Bohemian lands and gave it legal recognition from the Vatican (Thomson 23, 25). The aforementioned incidents establish something of a pattern in Czech history: A Czech is crowned king (1085), or the nation-state is created (1918), but, either way, due to foreign intervention. 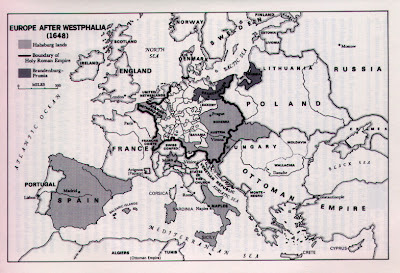 Germany (in the guise of Fredrick Barbarossa, Prussia, or Adolf Hitler) threatens and tries to break up or absorb the Czech lands. In any event, the Bohemian rulers were recognized as kings and the Czech remained unified because of their strong cultural identity. The Hussite period marks a vigorous chapter in the development of the Czech identity. During this period the Bohemian nobility grew in wealth, political power and influence. The bourgeoisie also grew stronger and took the place that the Germans occupied in urban life. While language and nationalism grew during this period art and education did not. As the first land to experience and embrace the Reformation, Bohemia also experienced great isolation from the other European countries. As a result the ideas of the Renaissance would be sorely missed among the Czech and contributed to the fall the quality of Czech art and education (Thomson 89). The reign of George of Podebrady (1458-1471) is a brief interlude of intelligent rule by an elected native Bohemian ruler. It was during his rule that Czech humanism, language and religious beliefs were preserved and prospered. George’s death though meant that the chance for a dynasty of strong rulers native to Bohemia had passed (Sugar 173)]. The next two rulers comprise the Jagellon dynasty (Vladislav, a son of King Casimir of Poland, and his son Louis) under which the strength of the Bohemian monarchy fell. The Czech-Bohemian Estates gained political power and the Catholic obtained an agreement for “mutual toleration” with the Hussites (Thomson 90). 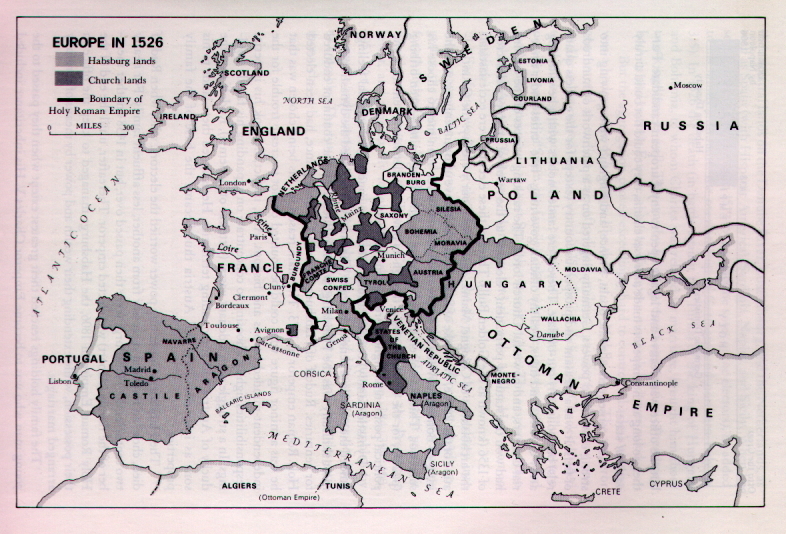 The push for greater Catholic influence would continue under the Habsburgs, who would begin to rule in 1526. The ensuing conflict between the Estates and the Habsburg rulers would end in a major turning point in Czech nationalist history, the Battle of White Mountain in 1620. Fig 1: Map of Europe in 1526 (Greer and Lewis 315). In the events leading up to White Mountain we find a stronger assertion of Catholic influence. Rudolf II became the Holy Roman Emperor (1576-1611) and brought with him a nearly all-Catholic court and Jesuit priests to deal with the Hussite influence. Efforts by the Estates to organize themselves and press for some religious freedom where thwarted by the slowly growing Catholic influence. There were a few higher appointed protestant leaders in the government even though it was clear by 1600 that the Catholic Habsburgs wanted to eliminated protestant influence in Bohemia. The possibility of war between Rudolf and his brother Mathias, Governor of Moravia, led Rudolf to seek support from the Protestant Czech-Bohemian Estates. In return for their support Rudolf granted them the Letter of Majesty, “Maiestatus,” which permitted the modest freedom of religious confession despite efforts by the Spanish Ambassador and the Papal Nuncio to persuade him otherwise (Greer 102, 105). Rudolf’s grant of religious tolerance earns him the wrath of the Catholic community in Europe who then support Mathias in his effort to dispose his brother. When Mathias is crowned Holy Roman Emperor in 1612 the Protestant Bohemian Estates refuse to recognize the new Emperor’s heir and form their own provisional government and army. In 1619 Mathias dies leaving both the Holy Roman and Bohemian crowns without a head to sit on. With support from Moravia, Silesia and Lusatia the Bohemian Estates elected Fredrick Elector Palatine as King of Bohemia the same year. When Emperor Ferdinand II ascended to the imperial throne the Catholic forces under his command moved against Fredrick who prepared for battle in a highly defensible position near Prague on the White Mountain. Once Fredrick, the “Winter King,” is defeated Prague is sacked (Dupuy and Dupuy). The aftermath of White Mountain strips Bohemia of many of its best and brightest. Religious freedom is eliminated, Protestant pastors are exiled and replaced with Catholic priests. The nobility suffers the loss of their lands and the Jesuits reassert control of the university. Leaders of the Estates fled the country along with the Protestants. It is believed that five-sixths of the Czech nobility fled, including a total of 150,000 Protestants, all within the first six years after the loss at White Mountain (Thomson 108-109). This Bohemian exodus would give rise to the second definition for Bohemian we may find in the dictionary. A bohemian is also a common term referring to “a person with artistic or literary interests who disregards conventional standards of behavior” (“Bohemian”). A transient life is also a component of this “Bohemian” lifestyle. In this definition we can see elements of the truth – the Czech high cultural traditions present in the artistic and literary interests of the “bohemian” artist. The main impact of this exodus, other than the introduction of a new word to our vocabulary, was the loss of the Czech ruling elite. This loss of leadership would plague the Czech throughout the next 300 years. František Palacký’s attempts at fulfilling Czech nationalist aspirations can be said to have been thwarted by this absence. The rebellion in Prague and the events at White Mountain would also trigger the Thirty Years War. Fig. 2: Europe after Westphalia, 1648 (Greer and Lewis 401). Edition. Boston: Houghton Mifflin Company, 1982. Print. History. Czech Republic, n.d. Web. 8 Nov. 1999.
and Publishing Co., 1936. Print. History. Princeton: Princeton University Press, 1953. Print.